Kiss & Makeup : The Liebster Award! So yesterday morning I checked on my twitter page and the lovely Nadine at http://rosyblossom.blogspot.co.uk had nominated me for the Libester Award! I'm so excited to answer these questions and see what everybody else has posted! 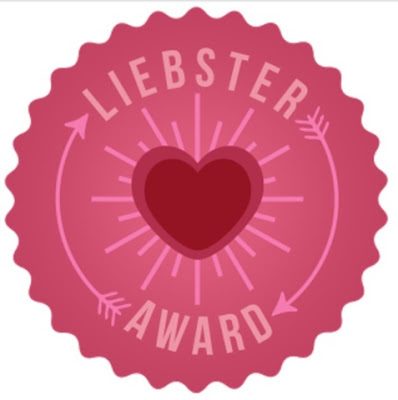 For anybody that doesnt know what the Liebster award is, its for blogs that have less than 200 followers and its a way in which lesser known blogs to put themselves out there in the blogging world and communicate with more people! 1. What is your most expensive beauty buy ever? A: that's a hard question but its definitely something from MAC! It's either my Fix+ or mineralise skin finish. 2. What is your most used beauty product? A: my collection black gel liner, I love it, because ive got small eyes anyway it definitely helps me and its great! 3. Do you spend more money on skincare or makeup? A: definitely makeup! I'm a freelance makeup artist so almost all of my money goes back into makeup for my kit! 4. What beauty product do you never leave the house without? A: my moisturiser! I use it every day and my skin definitely feels dry if I don't use it every morning and night! 5. How long does it take to do your makeup in the morning? I'd say about 30 minutes, because the weathers hotter now I try not to put too much makeup on. 6. Who is your favourite beauty blogger/YouTuber? Oh I have far too many but I'd have to say pixiwoo or Carli Bybel! I've learnt everything I need to know about makeup from them! 7.What beauty item do you own the most of? A: Lipglosses, I'm a sucker for glosses and I buy them at every opportunity! I've got at least 3 in my handbag at any one time! 8. Would you rather never be able to use mascara or concealer again? A: I'd probably go without concealer because I use foundation I don't often use concealer unless I really need to. 9. Full face of makeup or bare minimum? A: definitely bare minimum! I love creating a full face makeup when I'm going out or a special occasion but I'm definitely more of a bare minimum kinda girl! 10. What is your favourite makeup/skincare brand? A: I think the base of a good makeup look is the skin so I'd say it would have to be the simple skin range. I use most of their products and love them because they are fragrance and colour free and it's really great for you skin! 11. What do you want for your blog in the future? 1) if you could only use one product for the rest of your life what would it be? 2) whats your favourite beauty brand? 3) do you prefer foundation or concealer? 5) where do you like to shop for summer clothes? 6) what is your must have beauty product for winter? 7) if you had £100, would you spend it on clothes or makeup? 8) what is your favourite makeup brand? 9) high end or high street fashion? 10) if you were stuck on an island what 3 beauty/makeup products would you take and why? 11) where do you see your blog in 3 years?